Why should you have ventilation within your home? The benefits of home ventilation is commonly over-looked as, in the past, most ventilation systems were poorly installed and often became noisy within a short period of time. This resulted in people switching off the fans, which usually lead to mould and condensation problems in bathrooms and en-suites. 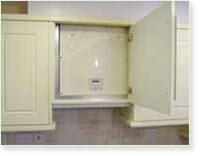 Baddow Eco Solutions can offer a range of solutions to suit your type of property. We only use high quality improved air-flow products which run more efficiently, at low speed and lower decibels level. These air-flow fans can run continuously and create better air-quality in bathrooms, which prevents condensation, damp and mould and produces a much healthier environment. These new products have sensors which will automatically increase the air-flow when a bathroom is in use, ensuring the air remains of good quality, especially at times when a shower or a bath is running, which means that steam and condensation can get removed effectively. The current building regulations and requirements aim at making our houses extremely efficient and new homes are remarkably air-tight. 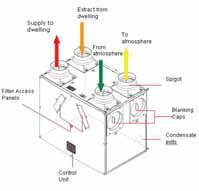 Baddow Eco Solutions are specialist installers of mechanical heat recovery ventilation systems for New Build properties. This consists of a single unit, usually mounted in the loft space, which provides all the extraction requirements to the bathroom and kitchen while delivering fresh tempered air to all the rooms in the house. 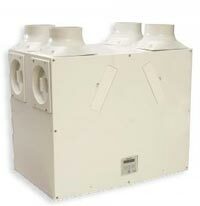 These units have a heat transfer plate which enables them to recycle the warmth of the air extracted to heat the fresh air. This means reduced energy bills as well as being an environmentally friendly solution..
Baddow Eco Solutions are approved Vent-Axia installers for the Sentinel Kenetic and we offer a full design and installation service.